2. Q: Can I get sample and how long will it take9 A: Yes. And you need to pay for the sample and courier. are very 5. Q: Can I mix different models in one container9 A: Yes. 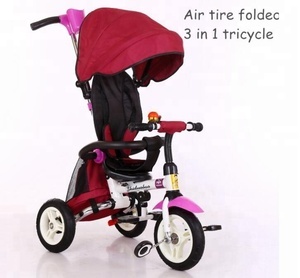 5.Children tricycle advantage--- safety baby bicycle 3 wheels Children Tricycle with foldable canopy. Handle bar can control the tricycle direction. All the products have been stricity quality checked before packaged. 2). --&gt;If you like to be faster, Please choose higher shipping cost, it is ship by air+sea, thank you for your understanding. --&gt; System shows Estimated Delivery Time is for shipping by sea+air, not for big parcel, i can not change it, so i mark the delivery days here, thank you very much for your understanding. Q4: What else product do you have9 A: We mainly produce baby stroller, buggy, tricycle, trolley, twin stroller and car seat. (ODM,OEM). Or maybe you could send me your pictures or website and then let me check if we could make it and then send you the price. For trial order about some play parts, we accept western union, paypal or cash. With our range of toys and other product, we can help you to explore active, agile, and dynamism in children. We are specialized in manufacturing children tricycle for many years, different styles are available. We can manufacture the bag, the helmet and the cover of the wheels to match the tricycle; New sticker can be made according to customers&rsquo; demands. is a professional manufacture specialized in producing and exporting kids tricycle enough experience, which is one of the largest suppliers worldwide. 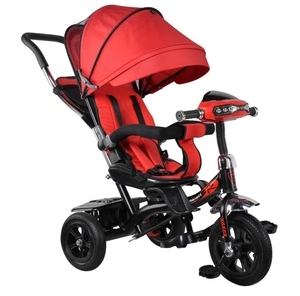 Alibaba.com offers 5,618 baby stroller bicycle products. About 58% of these are strollers, walkers & carriers, 15% are ride on car, and 5% are bicycle. 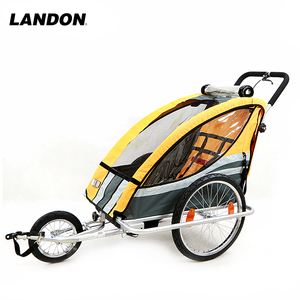 A wide variety of baby stroller bicycle options are available to you, such as baby stroller, baby carrier. You can also choose from plastic, polyester. As well as from free samples, paid samples. 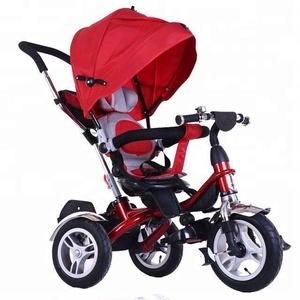 There are 5,540 baby stroller bicycle suppliers, mainly located in Asia. The top supplying countries are China (Mainland), Thailand, and Taiwan, which supply 99%, 1%, and 1% of baby stroller bicycle respectively. 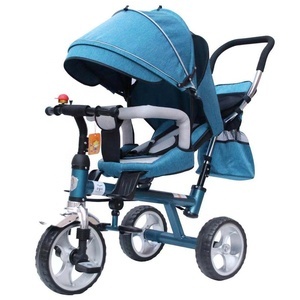 Baby stroller bicycle products are most popular in South America, North America, and Africa. You can ensure product safety by selecting from certified suppliers, including 916 with ISO9001, 481 with Other, and 52 with ISO14001 certification.